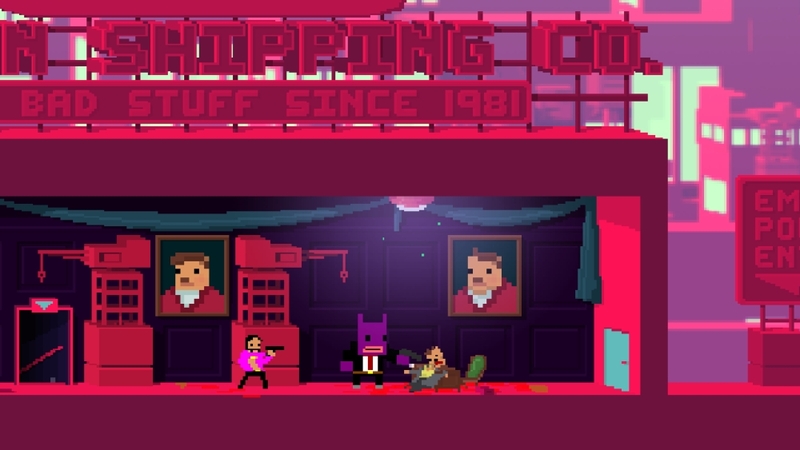 When it comes to brutal, rage quitting, retro-style games, Roll7 knows how to make them. That’s not to say they are horrible or anything and in fact, it’s just the opposite. Their games have been simply brilliant starting with the critically acclaimed OlliOlli and the followup, OlliOlli 2. Both games were incredibly fun to play with lots of unique features but both were also incredibly challenging and hard to master. 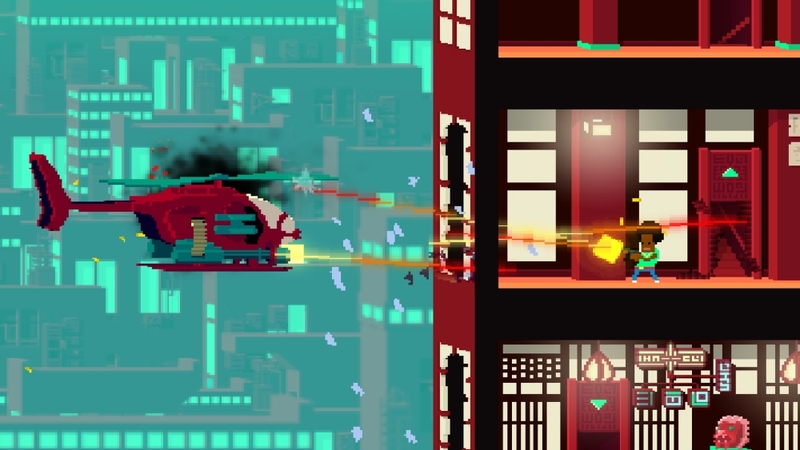 Their latest game, Not A Hero continues this trend as a super fun, lethal retro shooter that seems simple at first, but becomes punishing as you progress. As a warning to parents, this isn’t a game at all for kids. There’s a lot of foul language, adult themes, and let’s not forget the violence. This is a game definitely meant for adults. There is an actual story to Not A Hero. 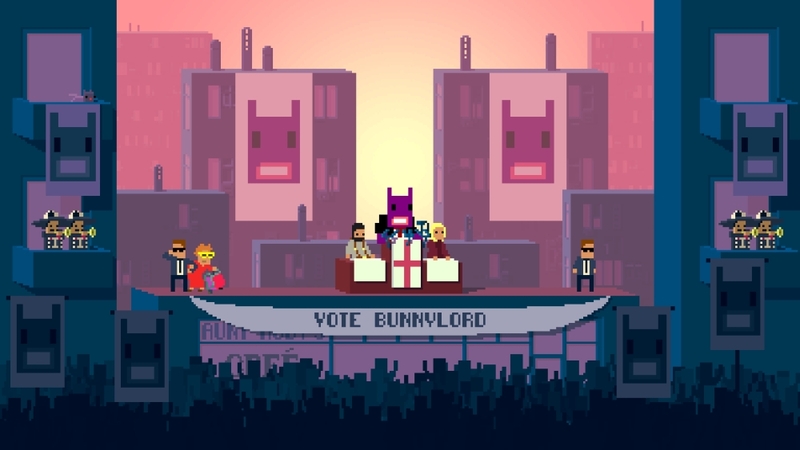 The game is a political satire that follows professional assassin-turned-amateur campaign manager, Steve, who is charged with cleaning up the city by a time-traveling rabbit / British mayoral candidate named BunnyLord. Now Steve and his expanding roster of dubious heroes must wield their unique skills to shoot, slide, dive and take cover behind a political platform built on ethics, accountability, and an inordinate amount of gunfire. Eliminate the criminal underworld of the city’s three major districts and persuade undecided voters to your cause, tackling the issues that matter by putting a gun in the mouth of those issues. 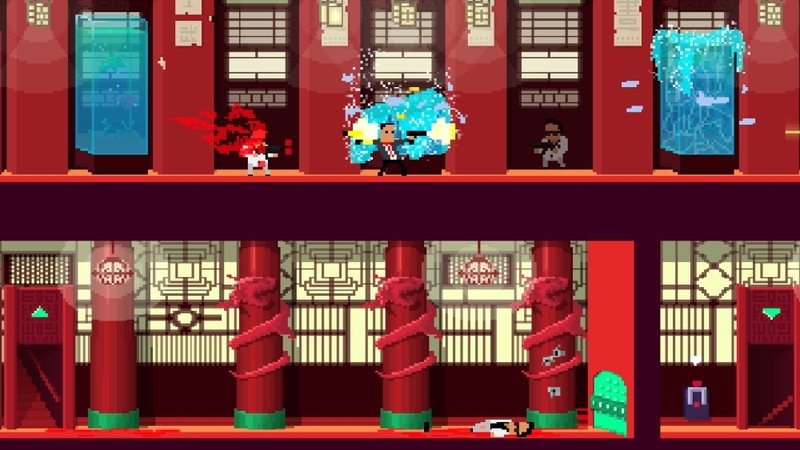 Not A Hero is a side-scrolling shooter at its core. There’s lots of running involved, but what sets this game apart from other shooters is its use of the cover and shoot mechanic. The game lives in a pseudo 2.5D realm where your character can kind of step behind objects and take cover to avoid fire. He can then pop his head out to shoot at enemies. Roll7 calls this technology Iso-Slant. I call it great fun. It’s a neat thing to add to what looks like a regular retro 2D game. This adds another level of depth you don’t normally find in other games of this type. Another really neat game mechanic is the use of the slide mechanic. Sliding helps you avoid enemy fire while also being able to trip and stun enemies. Once they’re down, you’re able to get in close for an execution style kill. All of this can make for a really fast paced game where death is almost a certain possibility. 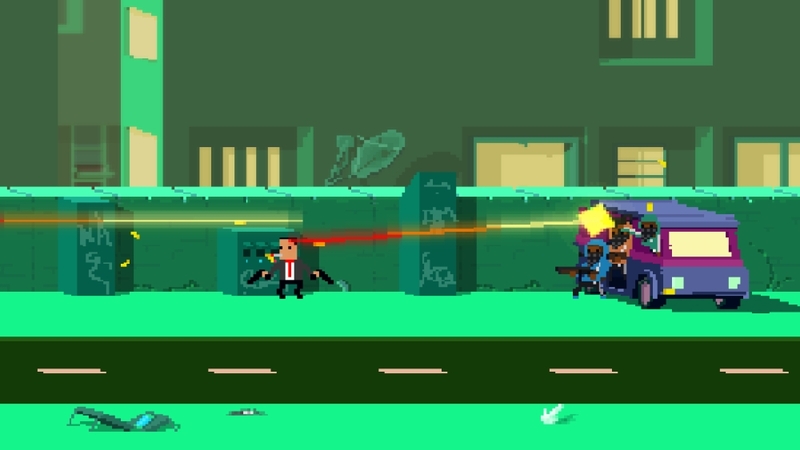 There are so many different kind of weapons you can use in Not a Hero. These are in the form of power-ups that you collect while in-game and they only last for as long as you have ammo for it, which usually isn’t very long. There are weapons like the bouncing bullets gun, lasers, crazy shotguns, as well as mines, grenades, and even a cat bomb. Lastly, all the characters you can unlock are unique in their own way. They aren’t just “skins” with the same skill set. No, each character has their own unique skill and some do better at certain levels than others. Although it is entirely possible to run through the game with just the same person. I think it all depends on your play style when you choose which character to use. While completing each mission should be your main goal, there is a secondary goal of completing challenges. Each level has three separate challenges you can complete in order to completely 100% them. This is similar to what Roll7 did with OlliOlli. This is a welcome feature for those who want to be challenged and also adds to the replay value of the game. I love the retro look in Not a Hero. I know that this whole retro thing has been done to death already, but in this game, it seems to really work. It really gives the game character and really fits in with the game’s brand of animated violence. I don’t think this game would have worked quite as well if they went with a more realistic art style so in this respect, pixel art was definitely the way to go. Complimenting the art style is an exciting soundtrack that keeps the game moving along at a quick pace. It’s very techno inspired and gets your blood moving. Note that in the videos I’ve recorded, I had to disable the music so Youtube wouldn’t flag it. I suggest you don’t do what I did if you are just playing the game normally. The audio tracks are just too good not to be heard. Sound effects in the game are also quite well done, loud and violent. Each level starts off with a small cut scene involving BunnyLord and what the mission will kind of entail or who your targets are. After the completion of each level, another small cut scene is played of your player and BunnyLord hanging out in a cafe, talking about nonsense. Here is where you get a real feel of who these characters are in a more laid back, relaxed atmosphere. 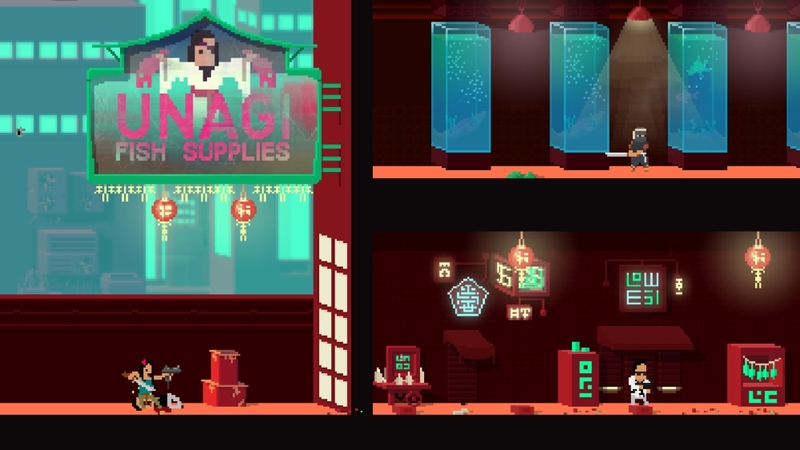 Not a Hero is one of Roll7’s best games to date. 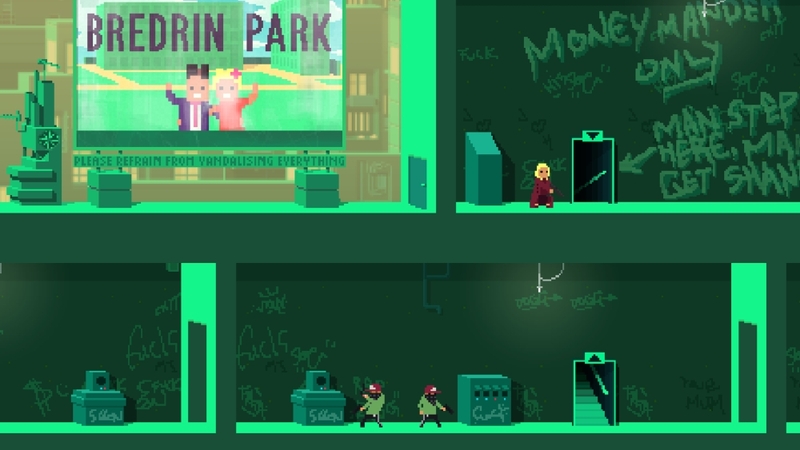 Sure it’s different from their previous games, OlliOlli and OlliOlli 2 in genre, but Not a Hero just features more of what made those two previous games great. 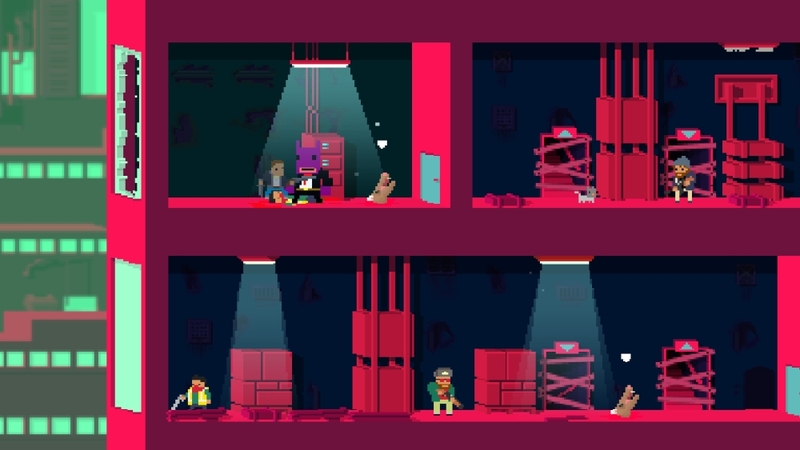 For instance, both OlliOlli games had great level designs and Not a Hero doesn’t disappoint in this area. In fact, Not a Hero level designs are larger, more intricate, and more beautiful in my opinion than anything prior. Also the character designs here are just much better and more creative. The challenges in Not a Hero also mimics that of what is found in the OlliOlli games, but seems a bit harder and more challenging to complete. 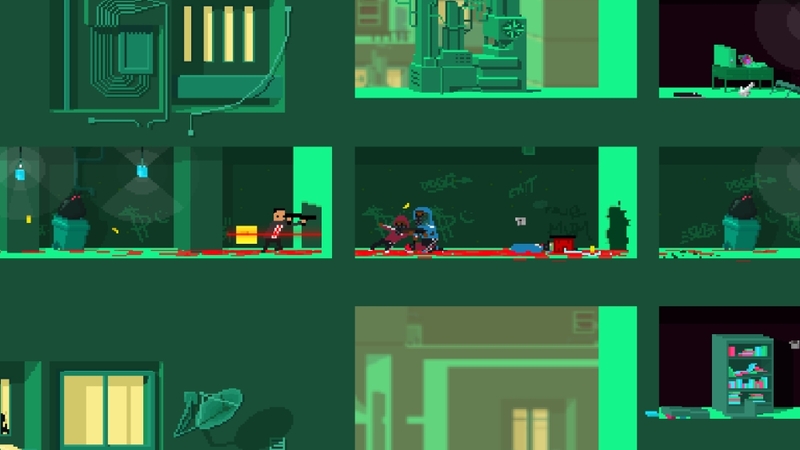 Not a Hero is definitely more action packed and more story oriented, but that’s also mainly due to the fact that the OlliOlli games were “sports” games. I’m really glad that Roll7 decided to create something new here and not another OlliOlli, despite the fact that those games were amazing. 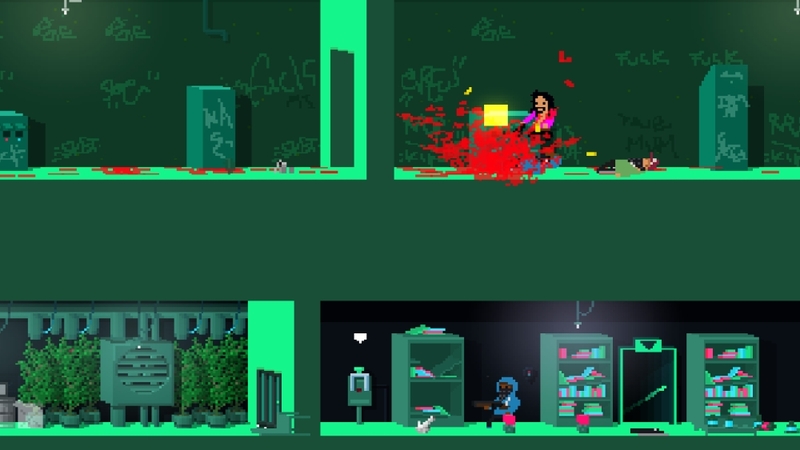 Not a Hero really shows that Roll7 knows what they’re doing when it comes to retro inspired games and are able to bring something new to “retro,” even in this day and age. If you haven’t checked out Not a Hero yet, I strongly suggest you do. It’s really fun and filled with tons of humor, action, and story.